The grant application period is now OPEN. The application period is from March 18, 2019 through May 1 ,2019 at midnight. The mission of the Chris Nelson Memorial Grant Program is to provide educators an opportunity to fund a specific project in their classroom, school, and/or district. Projects to be funded will have a foundation in the use of emerging instructional technologies to assist and enhance content delivery. 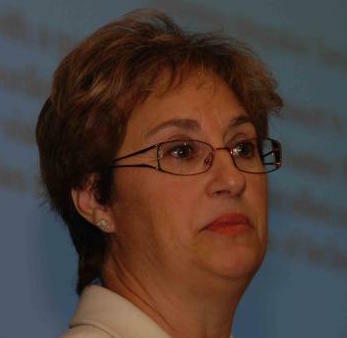 Chris Nelson was a passionate educator that served in many roles during her long career in New Hampshire. Throughout her time in the classroom she possessed an amazing ability to talk to classroom teachers about their challenges and the unique needs of their students and find a way to assist those teachers with technology. Chris believed that most educators are in the classroom because they have a passion for knowledge and want to help their students develop this same love of learning. What she also understood is that emerging instructional technologies were new, unfamiliar, and in many cases threatening to teachers who were not “digital natives”. Chris had the patience, teaching expertise, and technical knowledge to guide and mentor educators in the greater Manchester area, Farmington, Winnisquam, and many other districts across the state toward the effective integration of technology tools and resources for teaching, learning, classroom management, and communication. It is with this understanding and common goal that NHSTE introduces the Chris Nelson Memorial Grant Program. These grants will provide funds for equipment, content, professional development, and mentorship; things Chris believed in and offered with understanding, grace, and professionalism every day. The CNMG application period is now open. The 2019-2020 application period is open from March 18, 2019 through midnight on May 1, 2019. 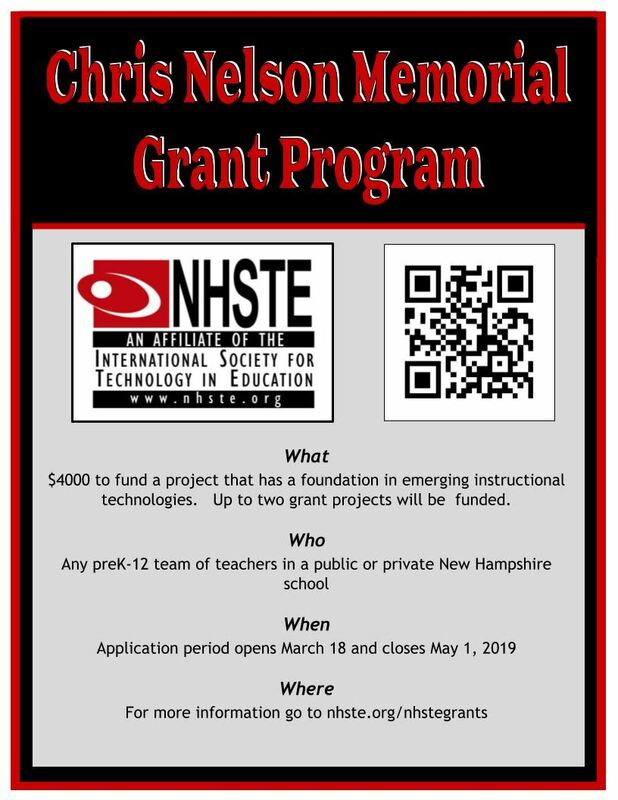 Begin the application for the 2019-2020 Chris Nelson Memorial Grant.